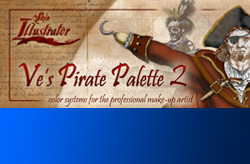 I'm proud to have had a small connection to the Pirates of the Caribbean films in the design of palette labels for the make-up departments on parts 2 and 3. 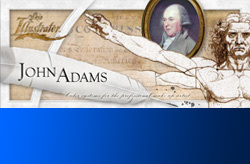 These two designs reveal two interesting limitations of designing product labels for use on a specific movie. First, I am rarely given permission to use imagery from the films themselves (not even imagery from previous installments of a franchise). Second, in most cases there's no way of knowing what the film is really about or what it will really look like when finished. Both pirates labels look quite different from the visuals for the films, and these are the main reasons why.